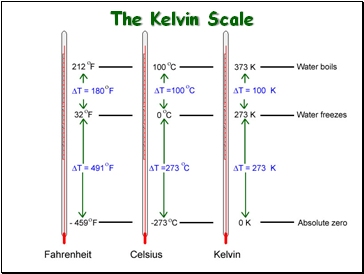 fit all of the assumptions of the kinetic molecular theory. 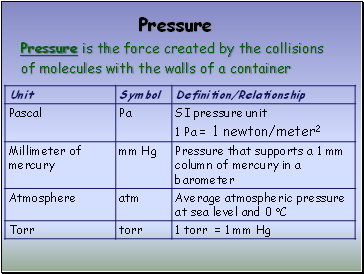 far apart relative to their size. 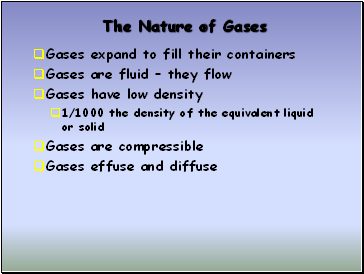 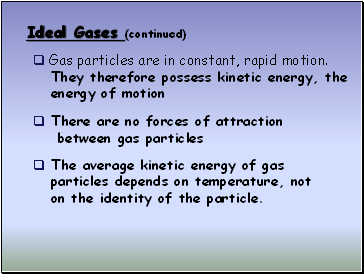 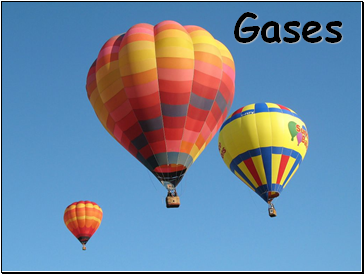 Gas particles are in constant, rapid motion. 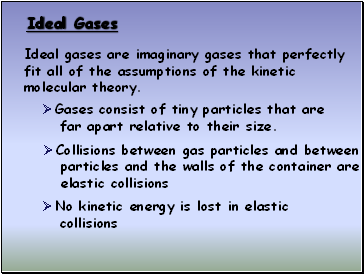 on the identity of the particle. 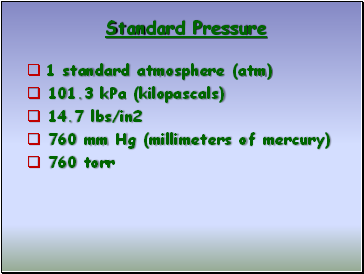 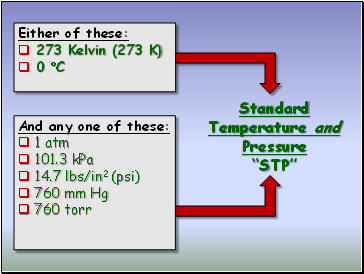 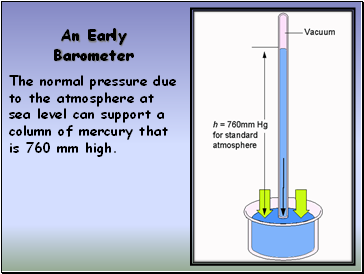 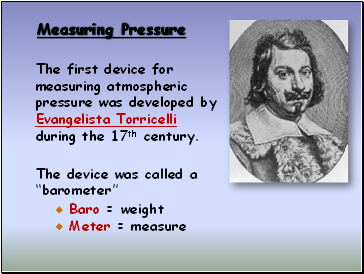 The normal pressure due to the atmosphere at sea level can support a column of mercury that is 760 mm high.